Specialist luthiers in performance and tone production. Dealers and restorers. Beecher Acoustics. 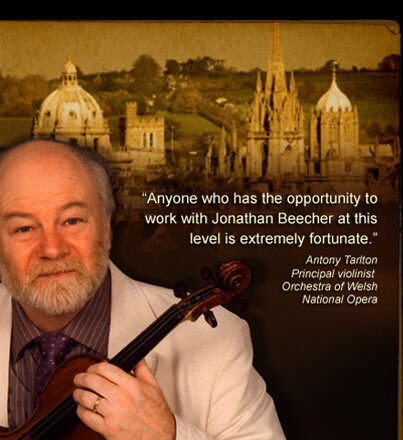 Beecher Acoustics specialises in all instruments of the violin family: violins, violas, cellos and double basses. Buying a violin, viola, cello or double bass from Beecher Acoustics will give you a wealth of expressive tone qualities, together with comfortable operational features, and steady year by year back-up from our specialist luthier in the details of set-up. The set-up of any violin, viola, cello or double bass you choose will be adjusted to your personal style of playing, and your musical taste in tone colouring and balance of sound between the four strings. For beginners, we will advise on a helpful setting to enable the player to establish a good basis for technical control and to start to make steady progress in choice of musical tone colourings. For professional players, their much-loved violin, viola, cello or double bass may well be able to be developed, if they so wish, to give a greater depth of tone, better balance in double stopping between the four strings, together with greater projection of tone for their public concert work. Many skilled players dream of achieving the "Italian sound", which is often a quality perceived to be beyond their financial reach. However, over the years, at Beecher Acoustics we have specifically researched and now specialise in enabling some of the instruments prepared in our workshops to produce the "Italian sound", and at a fraction of the price you would normally expect to pay. Why wait before enjoying the complete experience of sound? Outstanding 'sound' experience is our business - brilliant for the player and wonderful for the audience. 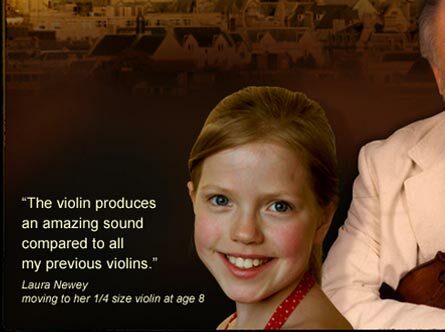 If you buy a violin, viola, cello or double bass from us, that 'sound' experience will be yours. Registered Office: 1 Quarry High Street, Headinton, Oxford, OX3 8JT, England. Tel. +44(0)1865-762287.